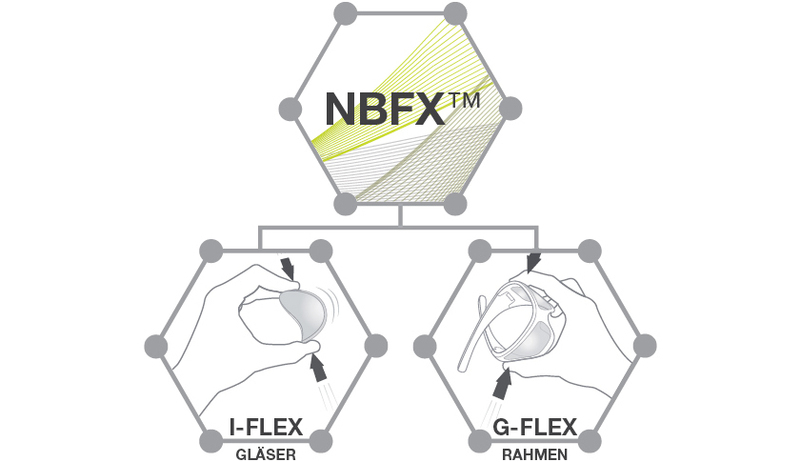 gloryfy unbreakable glasses made of NBFX™ return to their original position even after strong deformation! New technologies are tested and research results are integrated and implemented into the production of unbreakable products in the company’s own lab. gloryfy unbreakable prescription eyewear is totally unbreakable and even safe with airbags. The gloryfy SPORTstyle collection has developed from the first three models in the early years of the collection into a now high-performing “centre of excellence” for athletes in all categories. From outdoor sports to multi-sports, from extreme to endurance sports, the collection provides the perfect solution for all sporting requirements! Research was conducted to the utmost limits of financial viability in order to develop gloryfy unbreakable eyewear. NBFX™ the basis of the gloryfy “research pyramid”: lots of technical innovation have already been implemented or are just about to be launched on the market. gloryfy sunglasses can be optically glazed. The NBFX unbreakable glazing creates the perfect sports glasses for your favourite sport and also represents an improvement in sporting quality of life! The reason for the high optical clarity of the lens material is the high Abbe number of NBFX (Abbe number 44) in comparison to polycarbonate (Abbe number 31) and 1.67 material (Abbe number 32). A major advantage of NBFX™ material is the weight. With a specific weight of 1.11g/cm3, gloryfy glasses are lightweights and beat the common materials. The gloryfy SPORTstyle collection has developed from the first three models in the early years of the collection into a now high-performing “centre of excellence” for athletes in all categories. From outdoor sports to multi-sports, from extreme to endurance sports, the collection provides the perfect solution for all sporting requirements! 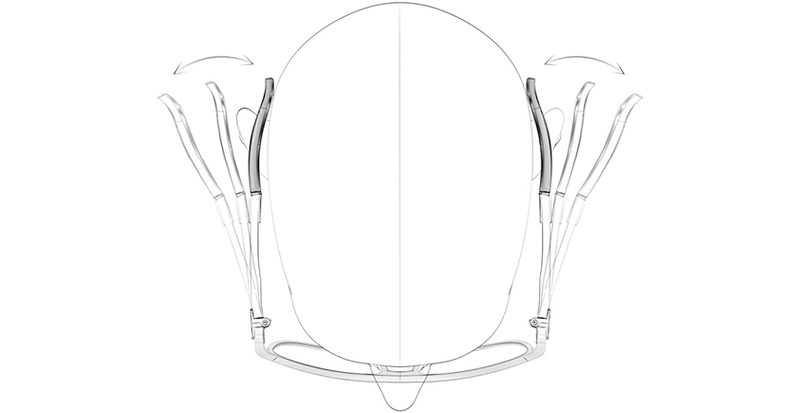 The strong curvature of the front part (base 9) in the glasses of the SPORTstyle collection guarantees optimised closure of the glasses, excellent protection against solar radiation or mechanical influences (dirt, stones, etc.) and perfect grip on the head of the wearer. The Dynamic Flow Grip rubber parts on the arm tips for best fit Halt. On top of that, our Power Grip Nose Parts optimize the fit in the high-performance sport models (G4, G9, G11), avoiding unwanted movement of the sunglasses. The gloryfy unbreakable’s DNA is sport, or more precisely extreme sports. That’s where we had our first “unbreakable moments” but there are of course these unique moments away from sport too! Each one of us can remember their “unbreakable moment”: the last party night, the most stunning bay, the most exciting date ... it’s for precisely these moments that we have developed the gloryfy unbreakable SUN collection with Comfort Fit. A major advantage of NBFX™ material is the weight. With a specific weight of 1.11g/cm3, gloryfy glasses are lightweights and beat the common materials. The temple end of the gloryfy GX prescription eyewear is made out of NBFX-S, a combination of an alloy and the ultra soft NBFX™. As a result, the temple can be quickly adjusted without any heating up so that the customer can adjust their glasses themselves, as required. 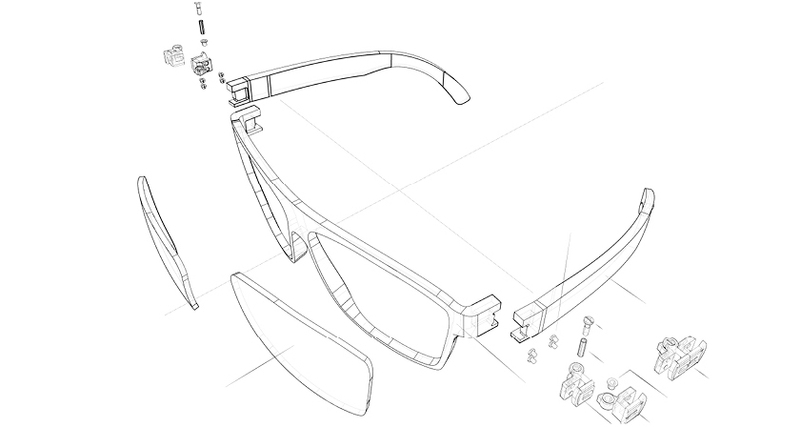 The combination of the GX hinge and unbreakable temples made out of the unique polymer NBFX™ and the unbreakable frame is called the Flex Fit System. This innovative system ensures that the glasses are extremely comfortable to wear and fit evenly on the head.